This wagon provided seating for the driver. 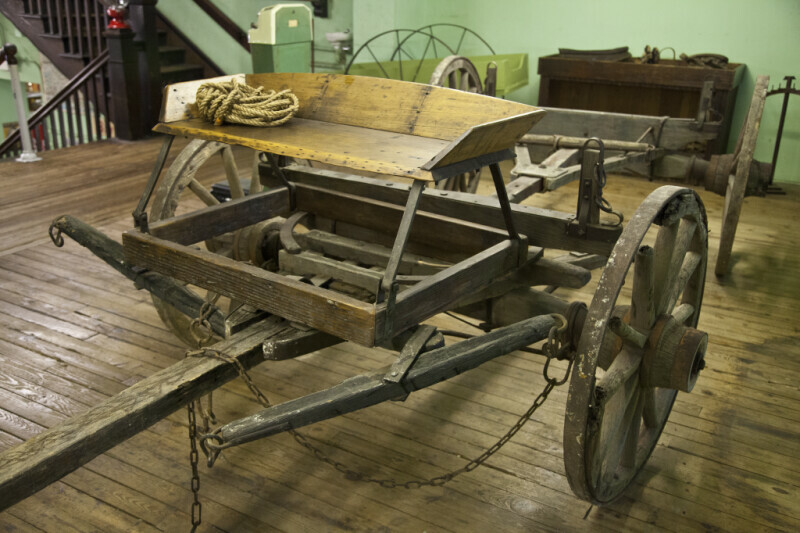 The wagon's frame is wood, with metal hardware. The wheel are wood, with a metal outer rim.